Florida Gov. Rick Scott and U.S. Army Corps of Engineers Col. Jason Kirk address concerns about safety of the Herbert Hoover Dike in Clewison on Oct. 9, 2017. 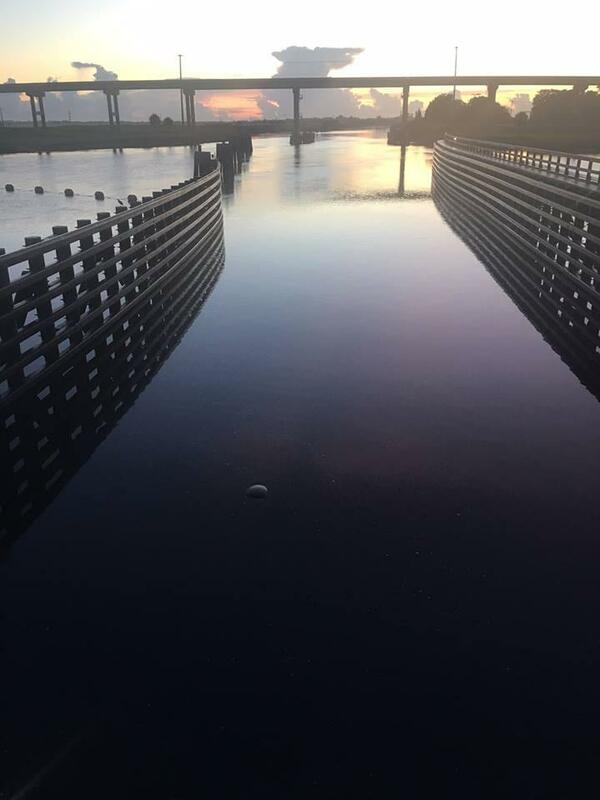 The water in Lake Okeechobee reached its highest level in more than a decade Monday: 17.16 ft. 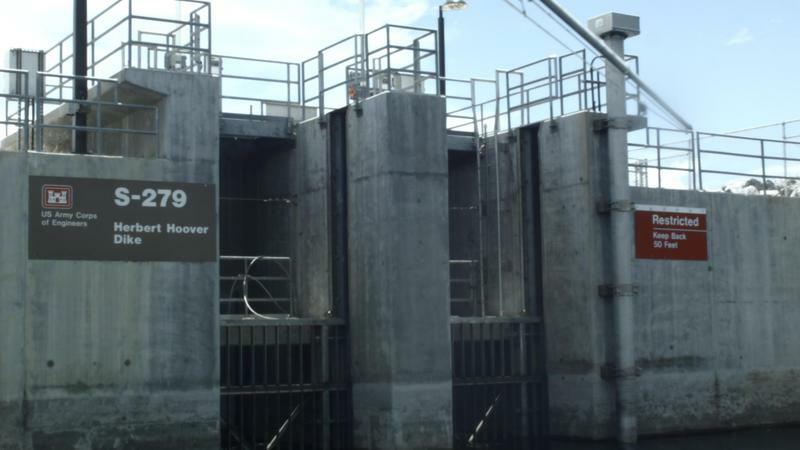 The water level in Lake Okeechobee has reached a level not seen in more than a decade — 17.16 feet — prompting concerns about the integrity of the Herbert Hoover Dike. Florida Gov. 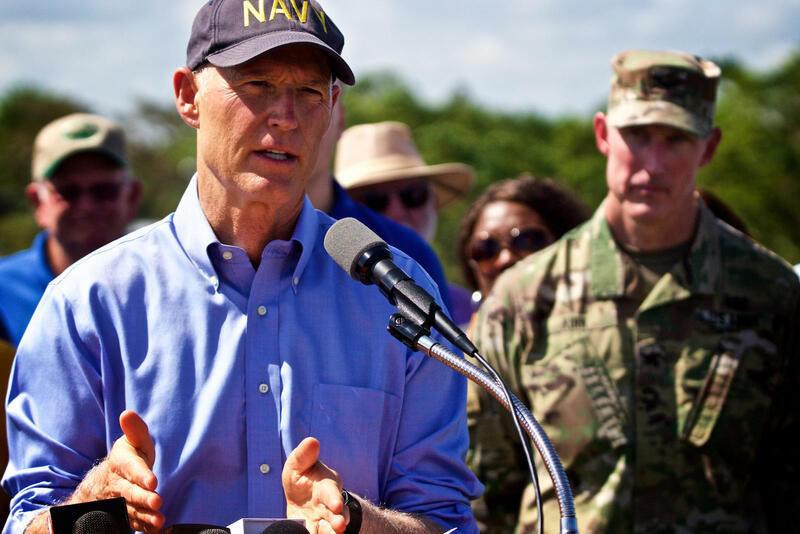 Rick Scott accompanied U.S. Army Corps of Engineers Colonel Jason Kirk on a levee inspection around the lake in Clewiston on Monday. The Corps of Engineers will be conducting daily inspections of the southern half of the Herbert Hoover dike as long as the water level remains above 17 feet. The Corps predicts the dike will remain sound, according to Kirk. The Corps has plans in place to control any distresses that could occur in the dike, Kirk said. The Corps’ current timetable for dike restoration completes in 2025. But that depends on consistent federal funding over the next seven years. Gov. Scott says he’d like to see that completion accelerated to 2023. Scott says the feds are past due on funding for the dike, which is part of the Comprehensive Everglades Restoration Plan. The Corps expects the lake to crest at 17.5 feet sometime next week — barring any more major storms. The winds and outer bands of Hurricane Irma are long gone, but as rainwater drains south through Florida’s rivers and watersheds, the storm still presents a slow-moving crisis headed right for Lake Okeechobee. Water managers expect Lake Okeechobee will rise to near historic levels after Irma. They will begin sending water east Friday. 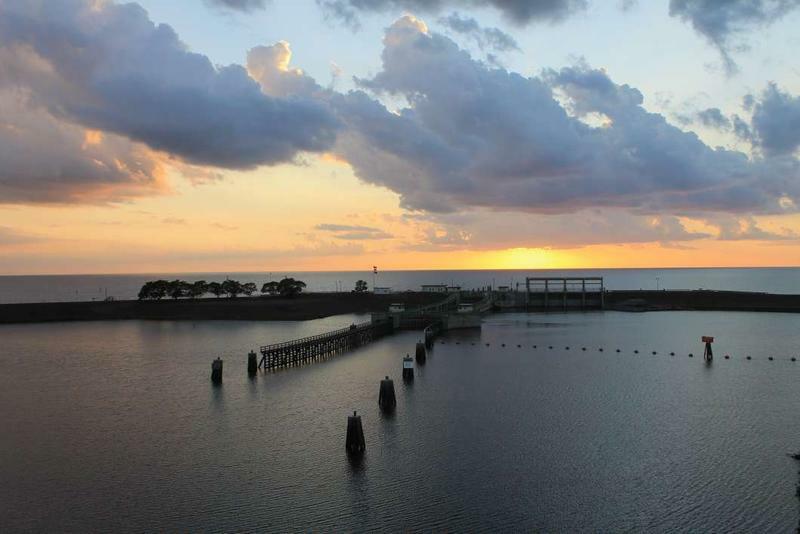 Lake Okeechobee is expected to reach as many as 17 feet as storm water continues to drain from central Florida to the Kissimmee River and eventually the state’s largest lake. That would be the highest level in more than 10 years. But Laureen Borochaner of the U.S. Army Corps of Engineers says the lake’s dike is in good shape after Irma. Lake Okeechobee is currently at 13.7 feet, which is a slight increase over the course of the week, despite days of water releases into the estuaries surrounding the lake. While the U.S. Army Corps of Engineers does not at this point believe the aging Hoover Dike is at risk of breach, there are three places where they expect significant amount of water to splash over and potentially stream over the top of those sites. The infrastructure that prevents Lake Okeechobee from spilling over is old. And that's why Congress allocated $49.6 million to help repair it this fiscal year. U.S. Rep. Mario Diaz-Balart (R-FL), who's the founder and Co-Chairman of the Everglades Caucus, toured the Herbert Hoover Dike on Lake Okeechobee Monday. He got an update on the dike's rehabilitation projects from the Commander of the U.S. Army Corps of Engineers, Jacksonville district.